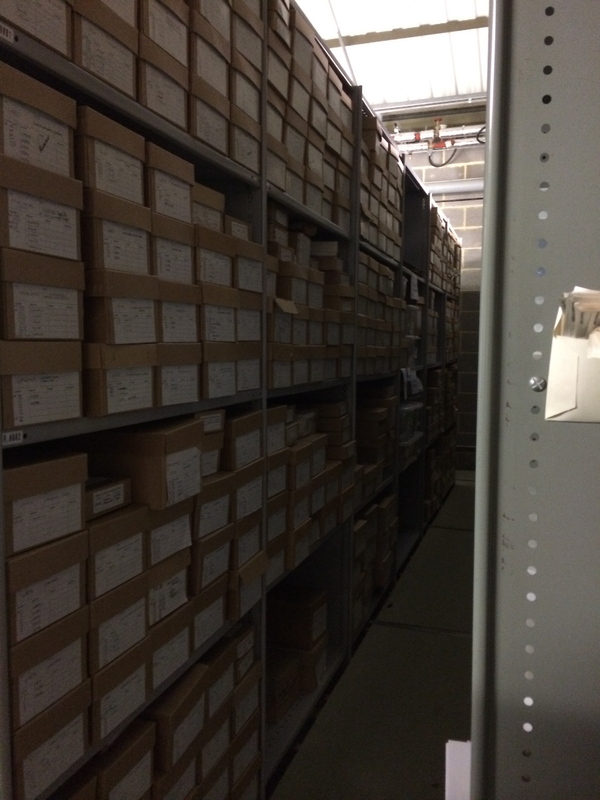 This Monday, we journeyed down to the Museum of London’s Archaeological Archives & Research Centre. It’s in kind of a random part of town, and the building looks like an average office type, professional building. We walked in, and they separated us into two tour groups. On our tour, we were led by Dan Nesbitt who is the Assistant Curator. He was very knowledgable about the items, and the history of LAARC itself. When I looked on their website, it said “the LAARC holds information about more than 7,500 archaeological sites that have been investigated in Greater London over the past 100 years.” The website adds that “the LAARC stores the full archives for many of these sites as the records and finds from nearly all archaeological work in London come here.” When we were walking through the storage sites, this was incredibly apparent. They had so many objects to look at that it was almost information overload! We were told that they have 250,000 objects in just the social and working section! I don’t remember what storage site this was, but it illustrates just how much stuff they have. Throughout the tour, we learned that this building is the third building in the Museum of London, and it isn’t really open to the public as it is more of a storage building. They have conservation, storage, and x-ray rooms on site. They have six storage rooms, and each room has a rough theme for all the objects within. Apparently, there is a small radiation risk, which wasn’t even something I was thinking about. The Victorian watches and clocks emit a low level of radiation. It is such a small amount of radiation that it would take something like 100 years to even begin to be hurtful. This opened my eyes to the fact that not everything that is dug up would be safe. You would have to be really careful with the objects, which is something I hadn’t really considered before. Who knew being a curator could be so dangerous? Their cataloging system was very interesting too. They seem to do the same thing that most UK libraries do, in that they needed to create a cataloging system to suit them because they are so specialized. Their system is called MIMSY, which stands for Museum Information Management System. I found this interesting because here in the US we tend to force our collections to fit into an already existent cataloging system, unless it’s a very specific library like a music library. Browsing through their storage collection, I saw how many varied, cool things they had. 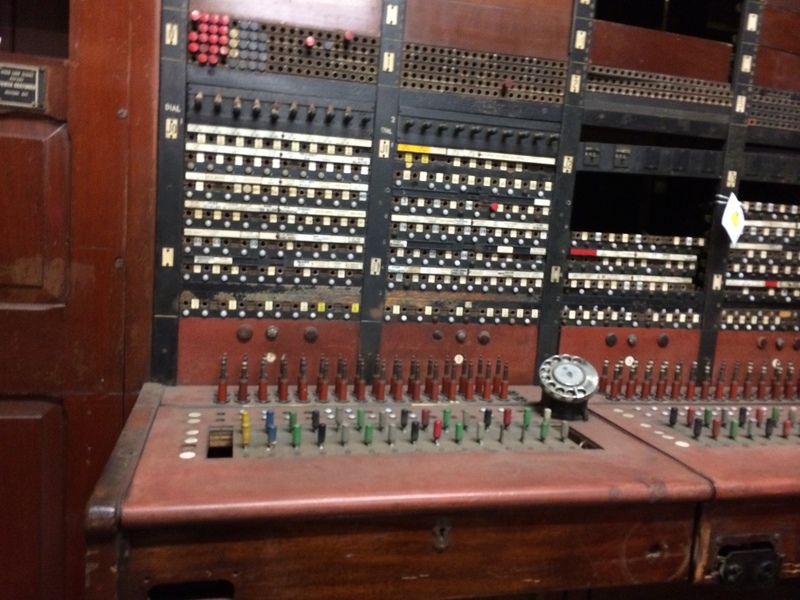 They have the Buckingham Palace switchboard, which had a bunch of royals’ names on it. They had a bunch of human bones. 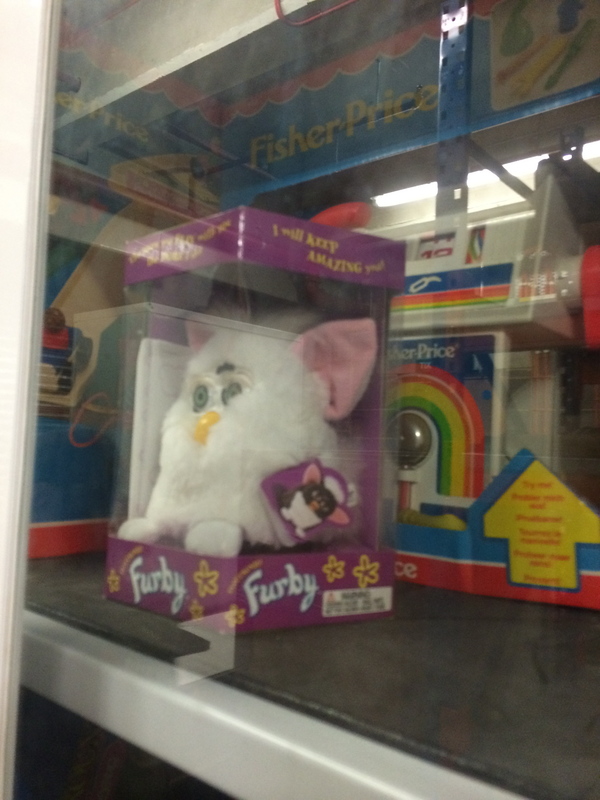 My favorite item that we walked by was a Furby. It is so random and totally unexpected, which made it totally awesome that they had it. Furby!!! Haven’t seen one of these since the ’90s. I don’t have any experience in a museum setting, so it was really interesting to get this behind the scenes look at how they operate and what they contain.